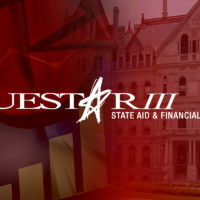 The Questar III Model Schools Program provides services to component districts through the 519 CoSer. We are dedicated to providing teachers with quality staff development and support. Our goal is to provide educators with the information and resources they need to improve student learning through the use of technology. Whether it is through planning, training, coaching, or modeling, Model Schools can help bring skills into the classroom and into our student’s futures. Have customized planning sessions, trainings, and/or coaching/modeling sessions to successfully integrate and use technology in your lessons. In addition to on-site training in the classroom, Model Schools can offer workshops designed to give you the strategies you need to succeed.